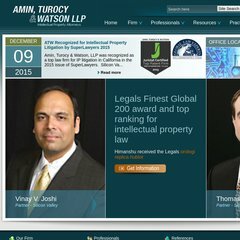 Topics: Publications, Patent Listings, List Of Names, Gallery Of Pictures, and Practice Areas. The site is programmed for PHP/5.1.6. Continental Broadband Pennsylvania Inc (Pennsylvania, Pittsburgh) is the location of the Apache/2 server. It has 5 nameservers, including ns1.dnsmadeeasy.com, ns2.dnsmadeeasy.com, and ns3.dnsmadeeasy.com. PING (206.183.31.56) 56(84) bytes of data. A ping to the server is timed at 21.0 ms.